No matter what department you're in or what job function you have, we can help you solve your biggest data management and archiving needs. Go beyond Office 365 journaling - capture MS Teams, instant messages, OneDrive for Business, SharePoint and more. 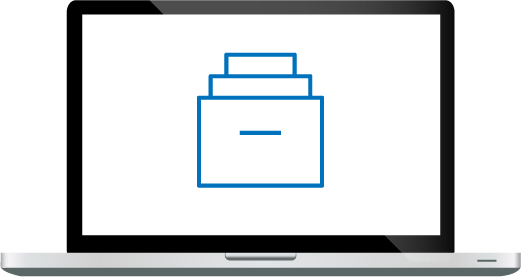 Manage any type of data—including images, videos, audio, documents, files, and more—with proven technology. And be able to retrieve any information in seconds. 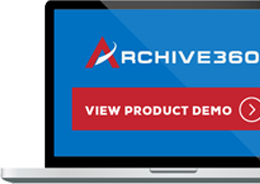 Accelerated onboarding and migration connectors for all of the most popular legacy archive platforms. Powerful information management allows you to meet your industry's regulatory compliance requirements. Ensure fast, accurate, and secure eDiscovery processing. Whatever your job role is - we provide solutions for your biggest information management challenges. Supporting the Digital Business Transformation and Cloud initiatives for IT professionals world wide. Whatever your job role is - we provide services for your biggest information management challenges. Stay compliant in today's ever-changing regulatory environment. We have customers from every industry - with many different information management challenges. An Intelligent Management Archiving Solution that ensures compliance with all your industry's regulations including: SEC, FINRA, MiFID II. Manage and protect increasingly large volumes of personal data by developing a clear security and compliance strategy. Gather new levels of insight to improve operational outcomes. Supporting government mandates for digial transformation to the cloud. A consolidated platform where all your organization's data is completely and securely managed. Be prepared for comprehensive ECA, eDiscovery response, and regulatory information requests. Fast, secure and scalable automated data management solutions that enable you to meet the highly-regulated insurance data management requirements. "Companies like Archive360, through the use of the cloud and by providing support for many data sources are paving the way to a data management future that is easy to transitiion to and easy to maintain."